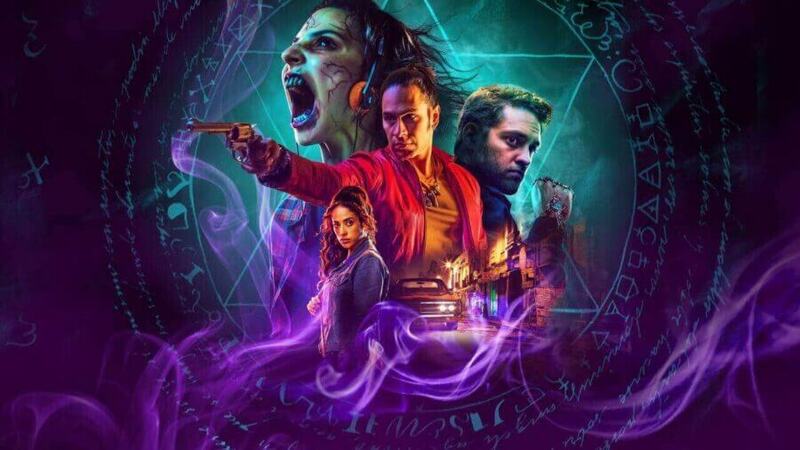 Diablero has been given a second season order at Netflix soon after the first season touched down on December 21st, 2018. Here’s what we know about the second season including when we’re expecting season 2 to release on Netflix. In case you’re not familiar with the show (and you’d forgiven given how little the show was promoted in Western countries) here’s some information to bring you up to speed. The series is quite unlike anything you’ve seen before. It’s got the demon hunting of Supernatural by The CW but mixed with some bizarre scenarios that you’d find in the likes of Dirk Gently’s Detective Agency. For those who don’t like subtitles, Netflix offers multiple dubs including English but subtitles with the original Spanish audio is by far the best way of watching. Giselle Kuri who played Nancy Gama tweeted the video above plus also followed up with a tease for the new season. The production company behind the show also said they’d continue working on the show asking if you could stand the wait. Will all the cast be returning for season 2 of Diablero? There’s been no official count of who’s returning for season 2 just yet. However, from our researching on reaction to the second season announcement, almost all of the main cast have spoken about the renewal which implies that they’re on board. How many episodes will there be in Diablero season 2? No confirmation on the number of episodes in season 2 just yet but Netflix tends to stick with series formulas. That would imply that season 2 will consist of 8 episodes once again. When will season 2 of Diablero be on Netflix? Given how fast the renewal has been, we’re currently expecting the series to be available in either late 2019 or early 2020. Of course, with a foreign title, it goes beyond just filming as then Netflix has to record all the dubs for English speakers. With that said, the renewal gives us the impression the show will now stick to an annual release schedule. We’ll keep this post updated with any and all news regarding season 2 of Diablero as we get closer to the release date.